BP posted earnings that beat expectations by analysts Tuesday, despite profits being more than halved from the first quarter of 2017 after a big charge from its project located in Angola that proved unsuccessful. Profits at the British oil giant were down from the 2017 first quarter of $1.5 billion and less than the $721 million posted from the same period one year ago. Shares of the oil behemoth moved up over 3.5% during Tuesday morning trading. Bob Dudley the CEO at BP said the company was continuing to reposition for a new oil price environment continuing to focus on its costs, discipline in its capital spending and overall efficiency. Results by BP were pulled down by a write off of $750 million that was in connection to its failed project in Angola. BP gave up its stake of 50% in a project off the coast of the African nation because he was declared no longer commercially attractive. Big oil companies have come under pressure from their investors to show them progress had been made in covering spending as well as dividends with generation of cash. Further to that, continually low gas and oil prices have caused companies to grapple with portfolios to be more competitive. BP has currently one of the highest prices for breakeven amongst its oil peers, after a number of acquisitions at the beginning of 2017 pushed up spending plans. The estimated price of oil, at which BP’s upstream assets could offset costs, stands at a per barrel price of $60, which is higher than the rate for the market of $50 per barrel. While analysts warned that BP would not return to level of production of before, they believe that the company is coming to the end of dealing with losses connected to its Gulf of Mexico oil spill disaster at Deepwater Horizon. Payments by BP related to the settlement for the Gulf of Mexico disaster could reach $4.5 billion to $5.5 billion during 2017, while another $2 billion will likely be paid during 2018. The company has paid thus far a total before taxes of more than $63.1 billion in costs for the cleanup and in penalties. 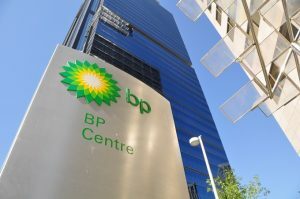 The latest figures for BP easily surpassed expectations of analysts, joining peers in Europe like Royal Dutch Shell and Total in posting results that beat forecasts for their second quarters.